The Vera and Donald Blinken Open Society Archives (Blinken OSA), one of the initiators of the open Access movement intends to award a fellowship each year to promising young technology expert, scholar or activist working at the intersection of humanities, social sciences and technology studies or technological solutions. The fellowship is especially intended for those, with or without degree, who have strong practical skills in developing technological tools to make knowledge and data broadly available to the public; who have an interest in challenging information management practices in libraries and archives; who are ready to contribute to building innovative visual taxonomies or catalogs based on unorthodox ideas; and who can challenge the control of information by governments and publishers to promote civil liberties and online activism. 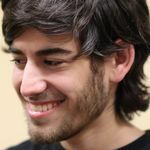 The Aaron Swartz fellowship is focused on two sub-areas of research in 2016/2017: (1) demonstrating conclusions that can be drawn for information professionals, conflicting areas that are arising between the state of the art concepts and civil liberties in terms of access to information,(2) proofs of concept on authenticating digital documents for legal evidence and validation of research in the networked environment of information. Recipients will be supported for 3 months, starting (if possible) as early as september 1, 2016 or the latest January 1, 2017. Fellows will conduct their research at the Blinken osA during this time on their research topic that will combine technology, humanities and social science perspectives. Blinken osA offers one $10,000 fellowship, the Fellow will receive a fund of $1,000 to cover travel and other costs associated with research and professional development. To be eligible for the fellowship, applicants must have demonstrable results in technology and humanities. Fellows may not hold other appointments throughout the duration of the Fellowship. international scholars will be considered for the scholarship and Blinken OSA will offer a visa sponsorship if needed. The selection Committee will announce the Fellows in August, 2016. All applications and attached materials are due no later than July 17, 2016, at 11:59 p.m. CeT.